The Amazon commission changes are putting a dent in earnings, BUT happy to introduce a new income source. I have some new sub-niches added on the site, although I haven’t seen any traction yet, I’m excited to see what they can do for the site going forward. As always it’s interesting to tally up the stats and numbers for this site. Can’t believe April is over with already. I’m loving the journey with this site. I learn so much each and every month and I hope you will find some helpful information in this case study as well. 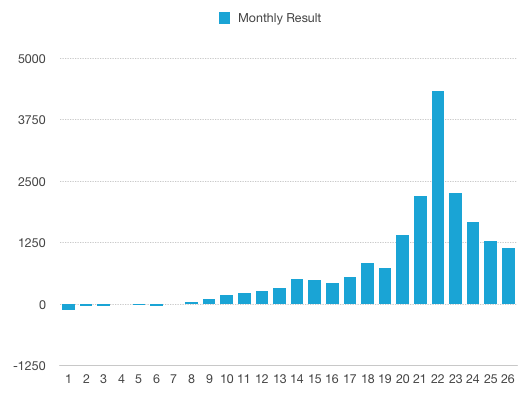 Why Do I Share the Numbers and Stats of the Case Study Site? 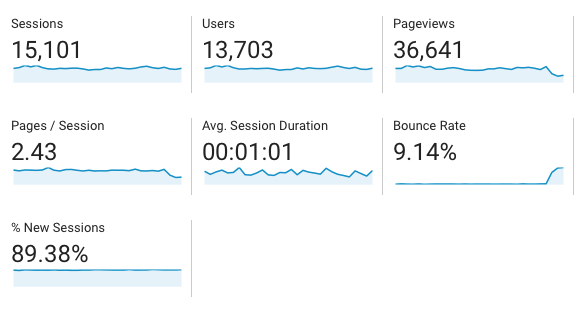 There are a few different reasons for me sharing the stats and numbers for this case study site. 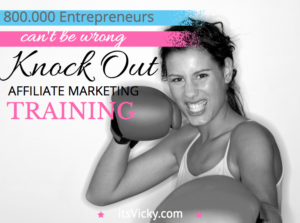 I often get the question; Can you really make money online? 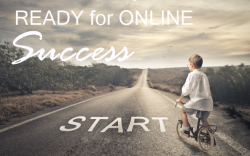 The quick and easy answer is yes, it is possible to make money online. With today’s technology and online training, there has probably not been a better time to do it than now. Now when I get the question I can point them to this case study, sharing the journey and numbers for this site. Now when I get the question I can point them to this case study. 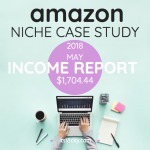 The truth is that it will take time and effort to create a profitable online business, and with this case study I want to share the stats and journey of a real blog, this includes ups and downs, gains and losses, increase and drops in earnings, rankings and traffic. 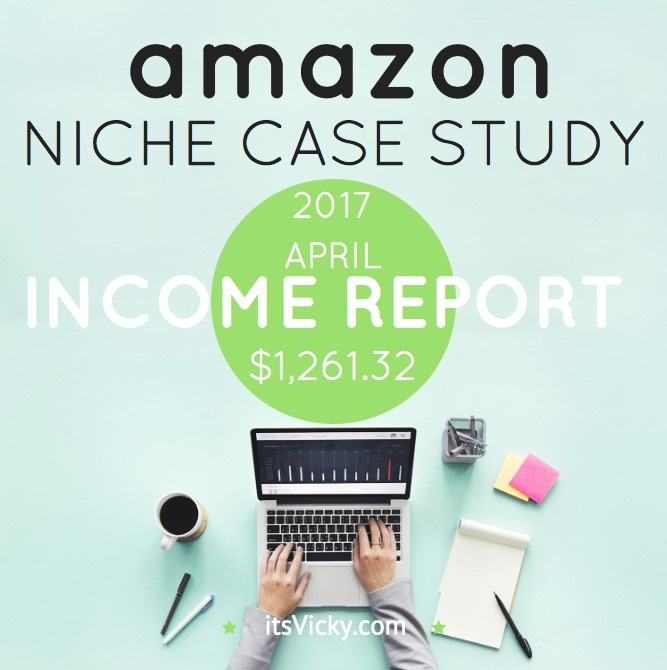 By sharing this monthly amazon case study it also keeps me accountable, it helps me keep track of the stats of this site. Personally, I choose to share this specific site and not all my online income, some choose to share it all, it’s obviously up to each and every one. The results might not be typical for any other site, you might earn a lot more or a lot less, but at least you’ll see some of the benefits and challenges that you can run into having your own website or blog. 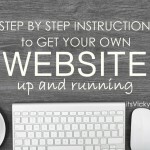 If you have not yet started your site, take a look at this program, it will help you get going. That’s the program that I learned from and still is. 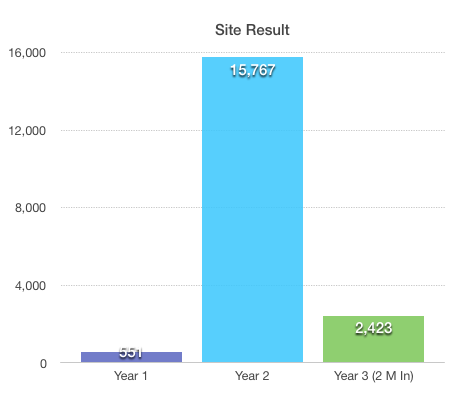 Let’s see how the site is doing a little more than two years into the project. We do see a drop in traffic and it’s due to my main sub-niches being winter month related, so that was kind of expected. I’ve been playing around with different plugins to speed up my site. This has affected bounce rate and other data on the site. Obviously, you want your site and pages to load as quickly as possible. 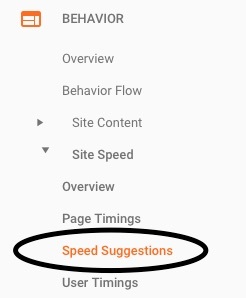 In Google Analytics, under speed suggestions, you can go in and check page speed for your individual pages and posts. You can do the search right from your dashboard in Google Analytics, it will show you page speed score and exactly what needs to be fixed along with suggestions on how to do it. I’m in the process to go through my top 10 pages and posts to make sure they are up to speed. It’s surprising what will slow down your pages. Images, scripts, comparison chart, these are a few things that slowed down my site. 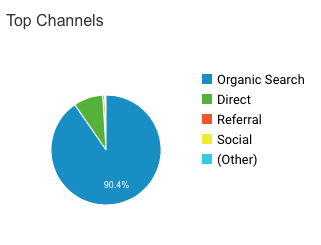 90% of my visitors comes from organic searches. (I know, I should step up my social game with this site, but I want it to be hands-off). That means that the majority of my visitors finds the site through Google and other search engines. Content like reviews and top lists ranks well for this site still. 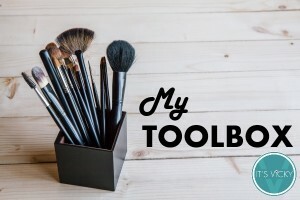 I am in the process of adding sub-niches focused on all year round products. Since organic listings are such big part of the traffic stream, this means that I need to keep an eye on the ranking results. I want to make sure we’re growing and gaining rankings. 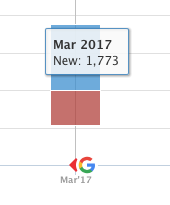 Since the site right now ranks well for some cold month keywords, the rankings are a great indicator, even though traffic drops. 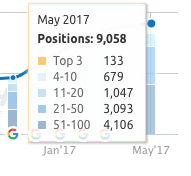 Going into the warmer months traffic will naturally drop but if we keep the keyword rankings we are still on the right track. Let’s look at the ranking results. When I check my ranking stats I use SEMRush, a great tool that provides traffic, rankings and other helpful stats. The site is ranking for 9,058 keywords. It has 133 top 3 rankings, that’s an improvement with 12 from last month. That the site keeps gaining rankings is telling me that even though traffic dropped we are still on the right track. Just need to get some traction with the all around year sub-niches that I started to promote, to gain more traffic. A good sign is also that we gained more keywords than we lost. When I check my rankings I also take a look at the changes that Google has made, to see if any had a large impact on the site. There were some indications, all though not confirmed from Google, of a FRED update in March and April. This would affect black hat sites, trying to manipulate the search engine. It also possibly effects thin sites that do not focus on the user experience. I didn’t see any major changes to my site that could be related to this. The Amazon commission change did have a negative impact on this site for sure, I do see a drop in earnings. On a positive note, I did get my first sale with the new affiliate program that I teamed up with recently. Conversions are not as good but one sale generated $62.91. Will the higher commission weigh up the lower conversion? That’s something I have to keep an eye on. April is very similar to March, but I do miss the December numbers lol. I knew this site would drop since it’s main categories is winter month based. I’ve worked hard (or my writers have worked hard : ) to focus on some all year around sub niches. It will take time for them to see some traction, but hopefully, we’ll start seeing some sales from these sub-niches as well. Two of them are targeting low ticket items, one of them is targeting high ticket items. I like the volume when the holiday season comes around, that’s why I don’t shy away from promoting low ticket items. The high ticket items give a good boost in commission, but you’ll usually see fewer sales compared the low ticket items. 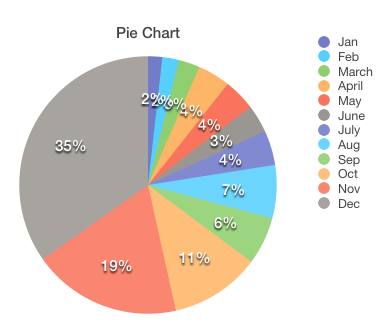 In January, I posted this image, showing the monthly % earnings of the site. IF the site follows the same pattern, that would mean $100.000 in income for the site. That’s an exciting number! Four months in, how are we doing? 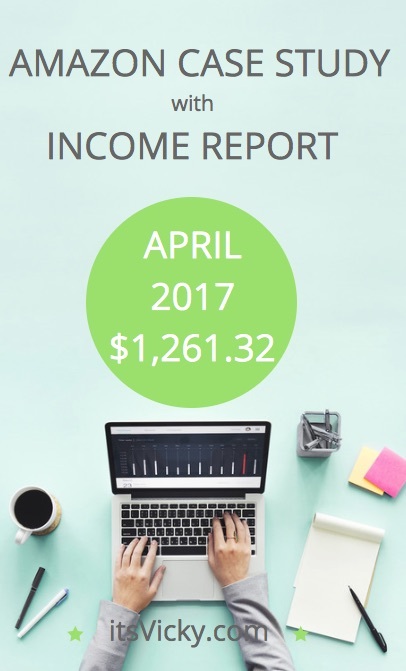 Last April we had a decent month earning 4% of the yearly income. We didn’t grow like I was hoping this month so we are falling behind looking at the growth chart. BUT, when I take a step back and remind myself that this site started as a hands off, outsourced content test site, it’s pretty cool that it earned $6,606.89 so far 2017. If we compare that with the four first months of last year it’s an increase of $5,288, that’s pretty good. The best month this far fo the site was December 2016, the site generated $4,435.78, so that’s the number to beat going forward, can’t wait to get it done! For this growth to happen, I do take use of some helpful tools. Will this site be able to make $100.000 in 2017? 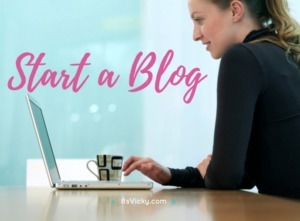 If you are new to blogging and affiliate marketing, take my free video course on how to get started. If you are curious about previous posts in this series you can catch up right here. 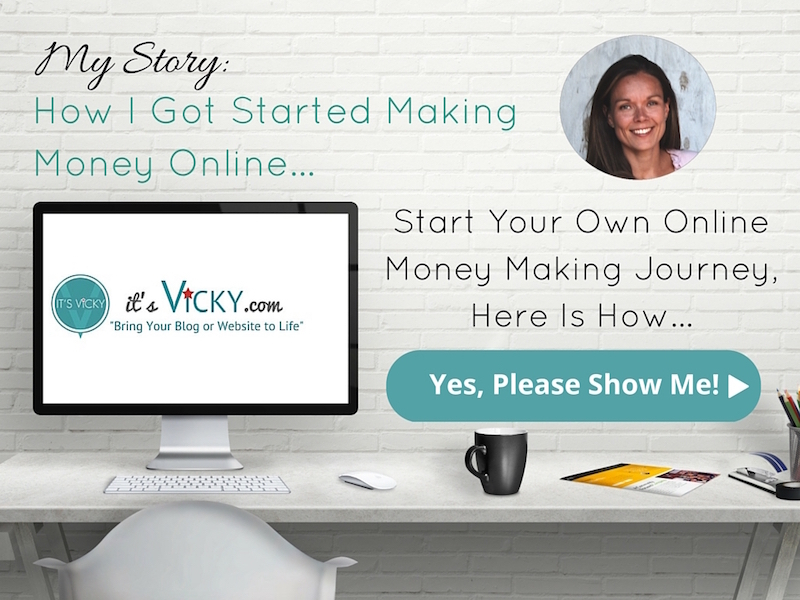 Pretty awesome Vicky and let’s be honest I don’t know a single person at all that would complain about having a $1000 monthly passive income. If I was offered $1000 month for doing nothing..I’d be pretty happy! I have noticed your bounce rate has got outstandingly low! and your average number of pages viewed per session has shot up! well done on that! I’d love to know what plug in’s you are using for that (and speed site too). These 3 factors…going to give you a turn for the better rankings wise as they are all indicative of good user experience. Ha ha yes I’ll take the money. It’s not that I do nothing, but yeah getting rid of the content creation is huge, it makes the site pretty hands off. Vicky thank you for update. Please let me know how do you display product pictures on your amazon affiliate website? Do you save and upload on your website or use amazon code for images? I’m reading a lot about that we need to use the code and not to save on our websites. If so I have to change almost 300 posts :). I have heard of cases where they have had their site shut down because of not using images correctly. I do not want to run into that so I use images based on ASIN, displayed via EasyAzon. Could not have done it without that plugin, it saves me sooo much time! An alternative, that I use on occasion is images provided directly from the company, or that I’ve taken of the product myself. Congrats on your success, that’s great!! Just noticed a quick annoyance on this site: the share buttons cover up part of the content on the left side of the screen for me so it’s really hard to read! I am using a 13.6 laptop and when I use my full-sized monitor it looks fine, but when the buttons are squished the left side is hard to read. Thank you for letting me know, I will look into this and make sure I fix it asap. The readability of the blog is very important to me so thank you for bringing it to my attention. Nice journey. I would like to follow it! Feel free to sign up for the newsletter and I will let you know when the case study updates are available. UpWork… Got it! Thanks Vicky. Looking to outsource soon so I’ll definitely look into it. Haha you might get there sooner than you think!! Yes, May Earnings had a great bump, thanks to the new affiliate program that I added! I’m excited to see what the future will hold! Glad you like the posts and updates for the case study! Hi Vicky – I have an Amz affiliate site earning about $600 per month. Found your blog searching for ways to increase my earnings. 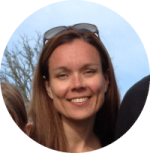 Thank you so much for sharing your case study – it is very motivating. I’m hoping to grow my earnings to $100 per day by the end of the year. Just curious – how many pages do you have on your niche site and how many pages do you try to add each month? I have not outsourced any content because I worry about it being subpar but from your results it seems like I should go for it. What site do you recommend for writers? That’s great, congratulations to your earnings. In the beginning, I submitted 2 posts weekly, now I do 3-4 posts weekly, it ads up over time. I hire my writers through UpWork, find field experts and keep them long term would be my tips. I just posted an update for May, feel free to take a look. Amazon Case Study May Update.